Teaching Experience: Svetlana comes to LLT with a wide range of experiences under her belt providing depth to our North American expertise whilst diversifying our porfolio of services. A double major at Hopkins, Svetlana focused on Computer Science and German whilst taking courses like graph theory, differential equations and game theory. Consequnetly, she also earned two minors: Mathematics and Entrepreneurship & Management. Thereafter, Svetlana took the GMAT and scored a 740. Undecided between business school and law school careers, Svetlana took the LSAT exam the same year as the GMAT and scored a 170. She also took the GRE and scored a perfect score of 800 on the Math and 630 on the Verbal section. Eventually, after graduating from Hopkins Svetlana pursued a career in IT Consulting. 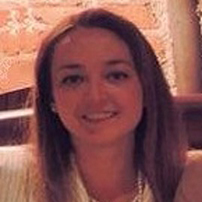 Svetlana is a Project Management Professional (PMP) with several years of experience on large software projects for American Management Systems. Having worked on projects spanning several industries, from public, private, healthcare, to communications, Svetlana developed a passion for spreading the project management methodology and teaching PMP exam preparation. Furthermore, Svetlana earned an MBA from Wharton Business School with majors in Finance and Statistics and a Director's List distinction. While a second year student at Wharton, Svetlana enjoyed tutoring first year MBA students in a variety of subjects, such as Corporate Finance, Cost Accounting, Financial Accounting, Macroeconomics, Managerial Economics, Statistics, Legal Studies, and Operations & Information Management. After Wharton, Svetlana went on to become a fixed income quantitative analyst at Morgan Stanley in London and pursued the CFA charter, passing all three CFA exams on the first try in only 1.5 years. A couple of years on a London trading floor in the midst of a financial crisis made Svetlana realise that the corporate lifestyle was not for her. Determined to make a difference in the lives of people who, like her, pursued challenging educational goals and professional certifications, Svetlana decided to follow her heart to where her passion truly lies: teaching. Svetlana's latest achievement is a Juris Doctor degree from the prestigious Harvard Law School, which she finished in May 2015. When Svetlana is not teaching the CFA, LSAT, JD, GRE, SAT, or GMAT exam preparation, she invests in real estate, trades options, dances salsa, trains her pit bull terrier, and travels the world.